From Greece they drove to Istanbul, Turkey, which was not very far. The next stop was Ankara, the capital of Turkey. Here they went to check in with the British and Canadian Embassies to let them know they were in the country and to find out about the conditions of the roads and if travel was safe. The British were helpful but the Canadians were not! Both said it was dangerous. But being adventurous (and young and foolish?) they continued on their way. After all there were two of them, plus Peter in his Sprite. Driving up to the Black Sea they followed the coastline until Samsun, then turned inland and found a place to camp beside a very nice clear river. Peter had a tent which they set up, made supper, and went to bed around 10:00 o’clock. The jeep was parked in front of the tent door because they’d been told there were a lot of thieves in the area. Around 11:00 o’clock they heard something – four guys were stealing stuff out of the jeep! Both Mick and Dan had knives, so armed with the knives they charged at the guys sending them running straight for the river, dropping things as they fled. Everything was recovered and all was well. They found Peter still in the tent under the cot hiding, which gave them great material to tease the life out of this 6’3″ Aussie. Mick on the other hand was a mere 5’6″ and all of 140 pounds soaking wet, but with a fiery temper you didn’t want to mess with. The roads were fairly good until the Iranian border. At that time the Shah of Iran was an ally of the U.S., it wasn’t a Muslim State then, but had a secular government. The roads were terrible in Iran, full of ruts, and large portions were only dusty trails which made traveling slow and bumpy. A front spring in the jeep broke and they had to rig a block up under it to continue. In the next town they found an old blacksmith who fixed it for two dollars, but it took him two days. After being offered milk that the old man had stuck his dirty finger into, Danny decided he liked his tea without milk, a habit that he has kept to this day. The poverty in Iran was heartbreaking. Listless children with flies crawling all over their eyes, if they could only wash them, do something, but it seemed so hopeless. Carrying on from there they crossed a desert. Sometimes there was no road and they just had to guess. Out in the middle of nowhere there was a crossroad and a little store that had Canada Dry pop! After negotiating for a bottle of orange flavoured Canada Dry, the owner insisted on keeping a large deposit for the bottle, so they drank the pop and returned for their deposit. There seemed to be a misunderstanding, the owner didn’t want to give the deposit back. Logically the boys were then going to keep the bottles and headed out the door with them. The owner flew into a rage, yelling and screaming, following them out the door and proceeded to throw stones at them. Time to get out of town, but the jeep wouldn’t start. Mick began pushing the jeep to jump-start it, and the owner, now with a few friends in tow, jumped on his own motorcycle and started to give chase. As he is gaining on them Danny lets the clutch out, Mick jumps in, and they’re off! Peter is way ahead by this time. Mick picks up one of the tent poles and swings it at the guy on the motorcycle who lost control of the bike and landed in a slime pit by the side of the road. They kept the bottles. After traveling through the desert and over the mountains on dirt tracks, they all of a sudden came to a six lane highway which abruptly appeared at the edge of the city. 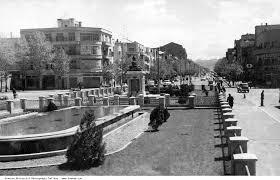 The city was Tehran with broad avenues and beautiful palm trees. The price of gas was only five cents a gallon here! The first thing they did was head straight for the British Embassy. The people working there were very nice and invited them to their house for dinner in the residential compound. They had servants that waited on them hand and foot wearing white jackets and serving them water, hors d’oeuvres, soup, etc. all for only ten dollars per month salary. The boys thought that working in the foreign service was not such a bad deal with all these perks, but you did have to live in Iran! Carrying on towards Pakistan they stopped at a small village to get some water. This is where they got dysentery and have never been so sick, ever! If they ate a grape, five minutes later it came out whole! The only thing that stayed in a bit longer was white rice and eggs. The rice was boiled and the egg had a peel, as did a banana, they were the only safe things to eat. They were only five kilometers from the Iran/Pakistan border and as they passed through the border the guards offered them some clean water seeing how sick they were. 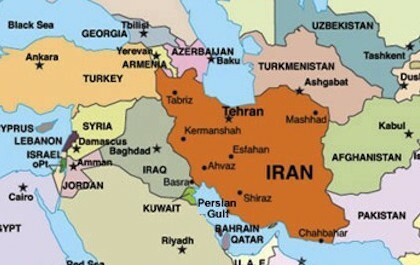 For the most part the Iranian people were friendly, and except for the dysentery they had good memories there.